Floplast white soffit boards. 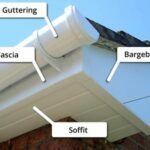 Can be supplied pre-vented or used with other types of ventilation, such as a fascia vent. Supplied in 5 metre lengths, 9mm thickness, and a range of widths from 100mm to 300mm. If your order needs to go with a courier, the lengths will be cut to 2.5m and we will provide joints free of charge.